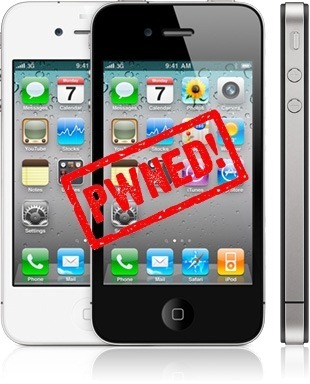 Geohot has Pwned iPhone 4 for Life! The infamous iPhone hacker George Hotz (aka Geohot) is in France these days, taking part in Nuit Du Hack conference which is currently being held in Paris. During his presentation at the conference, he mentioned that he has found a new bootrom exploit, which can ultimately pwn all iPhones for life, including the yet to be released iPhone 4. He has named this exploit as “pwned4life”. Here is a little video of him, presenting the stuff he knows the best at the said conference in Paris. Isn't that “Spirit” only works for non-MC phone? I have Iphone 3gs upgraded to ios4 non MC model, was jailbroken with spirit before upgrade, old bootrom. Was never able to unlock or downgrade. Help!!! What up with jailbreaking with spirit. What does it do to your phone that prevents jailbreak once upgraded? if your blobs were stored on Sauriks server in cydia, you can run tiny umbrella and restore your phone to 3.1.3. if your hashes werent stored in cydia, you are stuck until Geo releases his new JB. because it not avaiable yet!!!!!!!!!! i think you just violated the DMCA. LOLZ!!! i can downgrade ios 4 up to 3.0 xD !!!! Are there any downsides to jailbreaking an iPhone 4? I've been tempted to jailbreak my iphone since iPhone version 1, but I've always been hesitant to do it because I figured it would break it or something. Any thoughts? The 3.1.2 Firmware loophole was patched in 3.1.3 and iOS4. An MC model is the newer version of all the iDevices, which also patches up a loophole used by jailbreakers. I have 3GS and was on 3.1.3 with the older bootrom. I jail broke with spirit and then upgraded with ios 4.0 using ultrasnow. Been running that for at least 2 weeks, no issues, except I think my battery drains faster, but I can't prove it. Im not sure if its unlocked since I am on att, I have no way to test. There are no downsides to jailbreaking, it only makes one of the greatest inventions of all time far better still. Is it possible to jailbreak the new iPhone 4 yet? I'm seeing a lot of posts on jailbreaking the new OS on the 3G and 3GS, but I'm nothing seeing anything definitive for the new iPhone itself.